A man has died after being struck by a train this morning. British Transport Police (BTP) confirmed a man was killed at Toddington Lane crossing in Wick, near Littlehampton, just after 5am on Monday, June 1. A BTP spokesman said: “We were called to Toddington Lane crossing in Littlehampton on Monday, June 1, to a report of a person hit by a train. 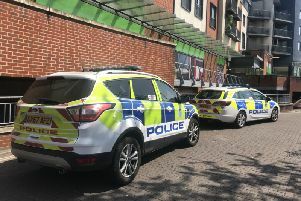 “Officers from BTP and Sussex Police attended the incident, which was reported to BTP at 5.18am and is currently being treated as non-suspicious. “Medics from South East Coast Ambulance Service also attended and a man was pronounced dead at the scene. The incident caused heavy delays to rail users across the county, with trains cancelled and delayed. Services are now reportedly back to normal.